PUNE: Three students from Maharshi Karve Stree Shikshan Samstha's Dr.Bhanuben Nanavati College of Architecture For Women (BNCA) came 3rd at the All India Healthcare Architectural Students Design competition. The competition was organized by Hosmac. 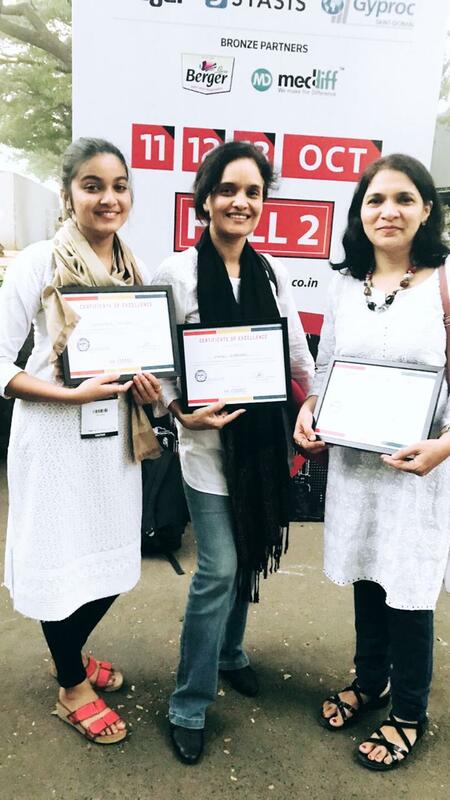 These three students included Sonali Indalkar, Vrunda Panse and Aishwarya Shendge. They are currently studying in 2nd year of Environmental Architecture course at BNCA. Amongst 110 groups who participated in the competition, 2 groups from BNCA came in the top five, while the 3rd group was felicitated with special appreciation award. Hosmac organized All India Healthcare Architectural Students Design competition in which the subject given was to design Hospital and research center. The group who won the award was presented with Rs. 15,000/-. The award winning students received the guidance from Principal Dr. Anurag Kashyap, Prof. Sujata Karve, Prof. Sonali Rajwade, Prof. Prajakta Kulkarni, Prof. Namrata Dhamankar, Prof. Nidhi Dixit and Prof. Rahul Nawale. Consolation Prize Winner: Snehal Pakhare, Shruti Khandelwal, Sayali Kulkarni, Rucha Nachane from Dr. Bhanuben Nanavati College of Architecture, BNCA, Karvenagar, Pune.